Have a holly jolly Christmas with the Branson Christmas Show Vacation Package! With tickets to some of the most festive and entertaining Christmas shows in Branson including Christmas Wonderland, The Stampede Christmas Show, and Miracle of Christmas, you will be ready to celebrate the most wonderful time of the year! In addition to these family-friendly yuletide shows, the Branson Christmas Show Vacation Package includes three nights lodging at the hotel of your choice. The 'most fun place to eat in Branson' is transformed into a world of holiday magic and cheer that truly brings the spirit of the season to life! 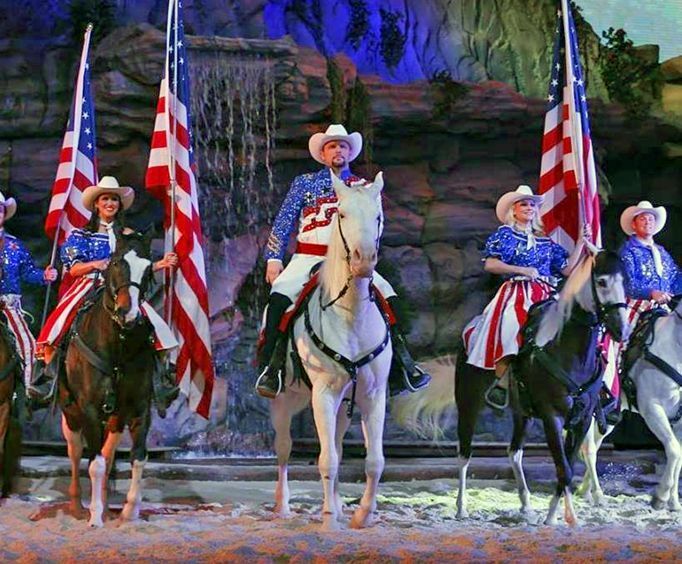 The Stampede Christmas Show will entertain guests of all ages as brilliant angels ascend from above the crowd, and snowflakes fall gently during their moving holiday tribute. A friendly competition from a couple of high-spirited elves, spectacular performers, and a visit from good ole’ Saint Nick himself will help to make this Christmas show memorable for years to come! Then, experience the true meaning of Christmas at the Miracle of Christmas at Sight & Sound Theatres Branson. This show utilizes live animals, state-of-the-art sound and lighting equipment, and amazing original music. See this classic Bible story on the big stage during this Christmas season! The Branson Christmas Show Vacation Package is the perfect way to enjoy the best holiday productions that Branson has to offer, and with three nights lodging at the hotel of your choice, planning your Christmas vacation couldn't be easier!